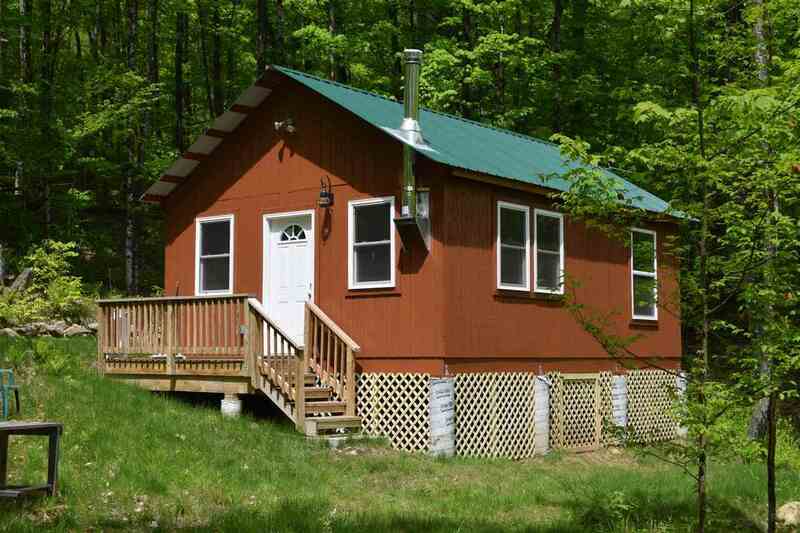 Brand new 2 bedroom Adirondack camp in secluded and peaceful area with no visible neighbors. On nearly an acre of land with mountain views and surrounded by thousands of state owned acres to hike, hunt, fish or snowmobile on trails nearby. The camp has an open kitchen, dining and living area with a wood stove, and is fully wired with lights and outlets that run off a 5000w generator. Gas cooking stove, gas 2 burner lamp, electric fridge and you could easily install a satellite dish for TV and internet. Not far from Northwest Bay Brook with good Brook Trout fishing. Only 8 miles and you can be on Lake George or at the marinas, beaches, shops and restaurants in Bolton Landing. This camp is ideal as year round retreat or hunting/fishing camp.